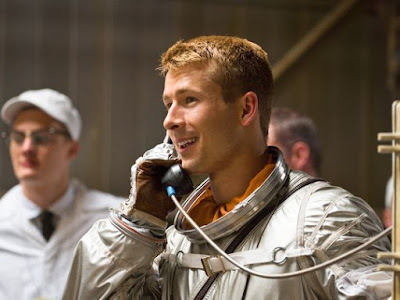 Glen Powell may not be failing upwards, but this is at least failing sideways. After Miles Teller beat him out for the role of Goose's son in Top Gun: Maverick, Powell has now joined the film in a totally different part. The only way this could be better is if the role were as Goose's OTHER son that nobody knew about, not even him! Maybe...that's the case? THR says Powell so impressed Tom Cruise and the film's producers that they made it a point to cast him in a different part, one that they are beefing up just for him. Damn! So how exactly did Teller beat him out in the first place? Powell joins Cruise, Teller, Jennifer Connelly, and Val Kilmer in the John Kosinski-directed sequel which opens July 12th, 2019. You can check out Powell now, but probably shouldn't, in the Netflix rom-com Set it Up.